Drawn to this book immediately by the title, I recently purchased the book Lookout Point by Hans Gremmen. 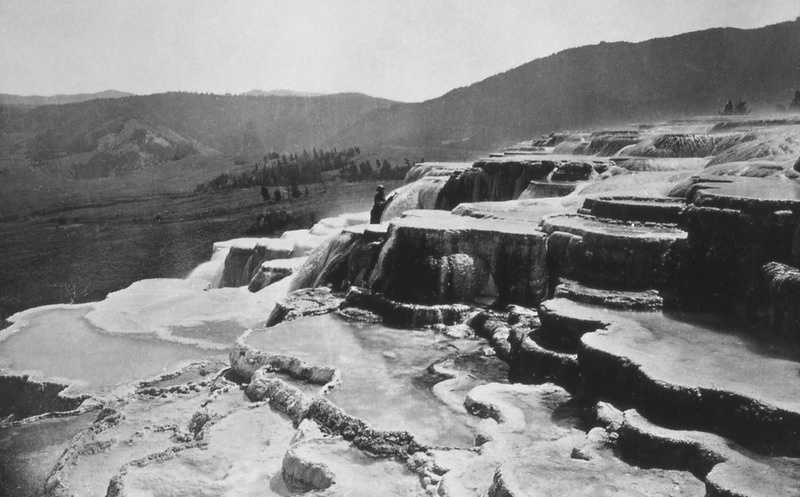 It focuses on ‘Moran Point’ in Yellowstone NP in the United States, one of the first recognized scenic viewpoints in history. What strikes me in the story of this well visited area are the first trips taken there. As Gremmen describes in his introduction John Colter visited the area in 1800, came back, told everyone about it, but nobody believed the tale he told about what he had seen. Again in 1869, the detailed reports of a group of travelers were not published with the reply “We don’t print fiction”. The stories about the landscape were too much of a fairytale. The fist images of the area arose when Nathaniel Pitt Langford let his reports (when back at home again) be illustrated. So when the reports got published the beautiful images of Thomas Moran, a painter, accompanied the lustrous descriptions. 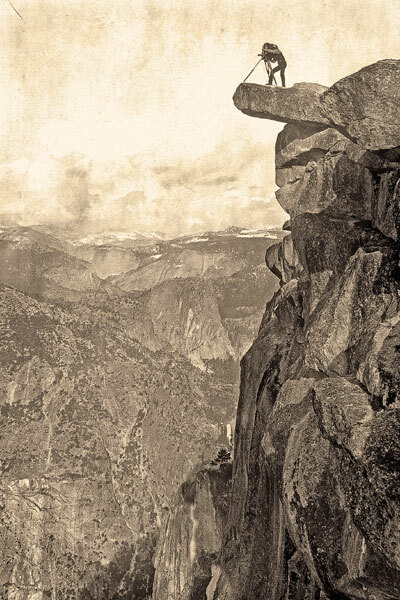 But when it got really interesting is when Ferdinand Hayden took both a painter (Thomas Moran) and a photographer (William Henry Jackson) with him on one of his excursions to the West. 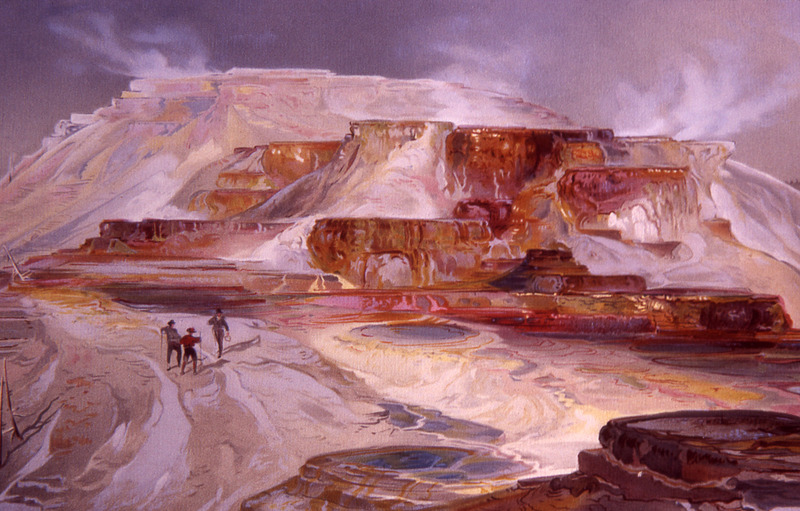 Moran could paint the scenes vividly and colorful, and Jackson took photographs as documentation, but above all, provided proof that the images Moran painted actually existed. The photographs proofed the accuracy of the landscape. The paintings provided the colorful emotive persuasion to the black and white images. They complemented each other as well as justifying each others authenticity. In today’s world we might feel the same need to justify our experiences through images. But instead of taking a painter along on our journeys we can use Instagram filters to add a little emotive color. Or better yet, turn the camera around and make sure we ourselves are in the picture. What better proof of “I was there” than to include the I in the image? At the same time we wouldn’t need to verify the landscapes in our photographs as real anymore. Nobody would question if the landscape exists as for we now have Google Earth, Streetview and endless images. So if the existence of the landscape portrayed has become unquestionable because of multiple verification tools at hand, the only thing we could question now is the experience of that landscape. Photographs and videos seem to be the tool for travelers to convey their experiences on to their public back home. But they are also the frame through which they experience. If only focused on the image of a landscape, experiencing it though the lens of a camera, are you experiencing the landscape itself or the recording of that landscape. Are you not only experiencing “the picture” of the landscape? Watching landscapes through a lens does something with the experience of that landscape. It puts a partition, a screen, between the person and the landscape. The interaction between the two is interrupted, or at least derailed. One of the consequences of our current ‘share and care’ culture is that while recording a landscape we have in front of us, we are experiencing it through the eyes of the people back home. Framing the image in such a way it becomes shareable and even “picture perfect”, even if the experience itself isn't that great. In this way the sublime characteristic of the landscape is lost. It becomes more about the individual then about the wonders of the world and educating people back home about these wonders. 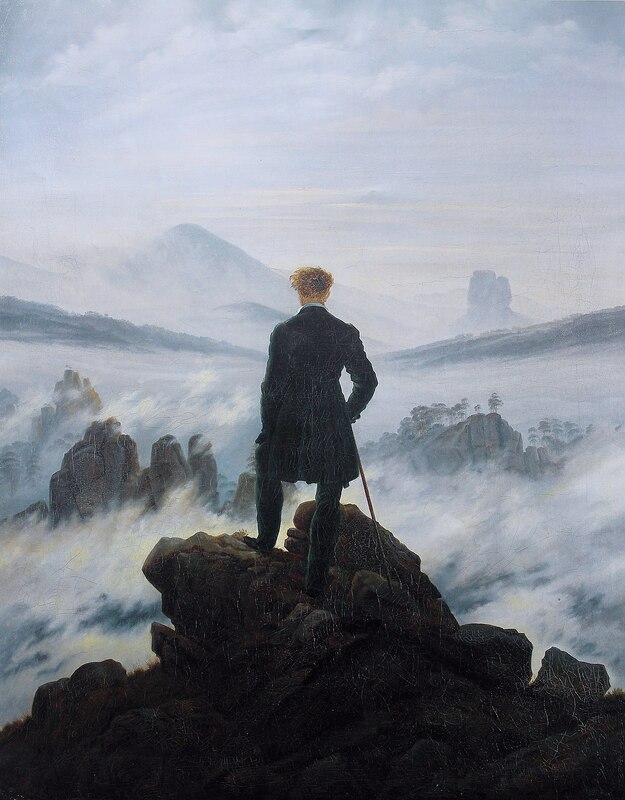 Yet again it makes me think of the painting Wanderer Above the Sea of Fog by Caper David Friedrich. One of the most famous depictions of the relationship between nature and mankind. Suggesting at one hand mastery over a landscape and at the other the insignificance of the individual within it. But the wanderer is also sharing his experience. By placing his back toward the viewer he is not shutting them out, rather he enables them to see the world through his own eyes, to share and convey his personal experience. Images have always been tools to verify what we have seen. To share our experiences with others and to get recognition for where we’ve been. Used as a verification tool on the trips to Yellowstone, as well as proofing to our followers where we’ve been and how great that was. Experiencing the landscape through a lens can deliver beautiful results, but yet again divides us from what's really in front of us.